Step 1. Combine the goat’s cheese, orange rind and lemon rind in a bowl. Season. Step 2. Spread goat’s cheese mixture over bread. 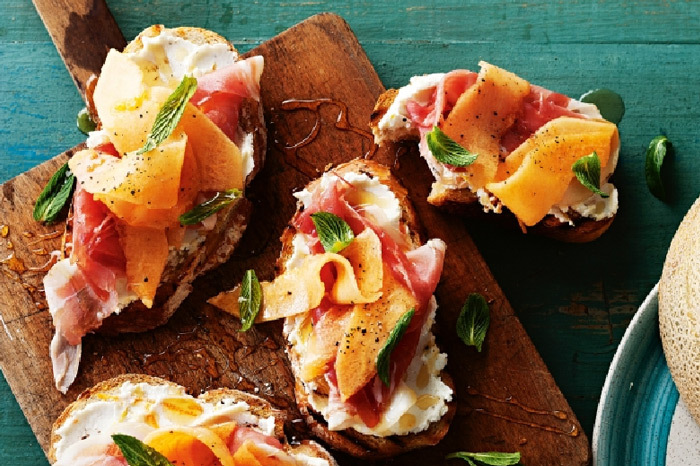 Top with prosciutto and rockmelon. Drizzle over the honey. Season with pepper and sprinkle with mint.